Interests, Pastimes & Hobbies: Where Has the Thai Crop Hairstyle gone? Have you ever known the Thai hairstyle? I mean the traditional ones? It looks some sort of an isolated bush on the head. Too bad I haven’t got a real picture of it here. Can the below compensate for it? It’s difficult to spot one of this these day. 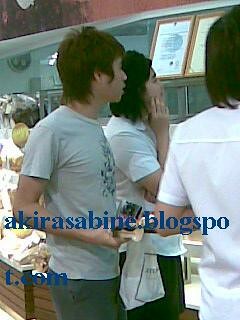 I happened to spot it once a while at the shopping mall. Apparently, school kids are still confined to this hairstyle. What about these? It’s the trend now, isn’t it? The funky street style adopted from the Japanese culture, no? 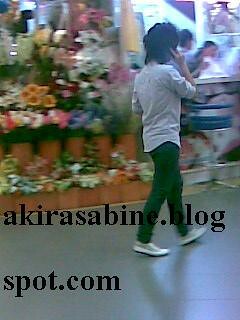 These pics are takens as I was strolling in a shopping mall while I was in Bangkok. It’s a proof on how strong the Japanese culture has penetrated into Thailand. Tell me you have not noticed it before. Tell me I've enlightened you, ya. Drop me a comment to let me know. Next, we will focus on Japanese restaurants in Thailand. Hahah... yea...that's what I notice on the guys' fashion too. Is that what they call the carrot cut jeans? 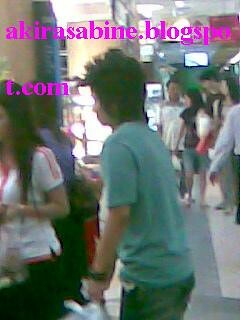 In fact, the Thais in general have really good fashion sense coz most of the designs worn even by people on the street never fail to impress me i.e the broad sleeved blouses, flairy loose T-shirts, guys trendy shorts with body fitting Tees. Hi! thanks for visiting my website. The tennis guru website (www.tennisguru.net). Don't forget to make it a habit! Will do! I've always been interested in the energy of the game. I don't deny admiring the physiques and good looks of the players too. You bet. Bangkok does offer almost every and anything. Thanks for never failing to drop in. Yea, Malaysian also like that but I notice the ones here in Thailand are more extravagant as in the hair(the guys) are much longer and styling more elaborate. The ones I normally see in Malaysia are shorter and more similar to Taiwanese style. Afterall, it might just be me speaking from my observation. Well, I never liked this type of hairstyle. Makes the person look like they just got out of bed. I prefer clean neat hairstyles on both men and women. At least makes me feel comfortable to converse with them too.. 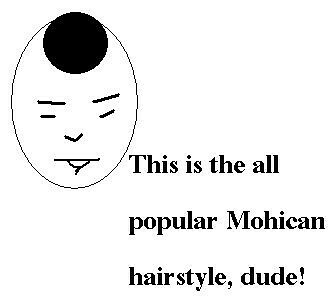 There are Malaysians who also opted for this type of hairstyle. Mostly those who also accompany themselves with baggy jeans and long dog chains hanging at their side pocket. Thanks! Visit and comment, both of them. To me, I don't have an issue with them. I just play audience. There are some nice ones among them, It depends on the way they style it, I mean the hair waves and all, the more natural ones would be good. But not too bombastic like they just survived an explosion in the face. Yea, that's what I notice too about those long dog chains and baggy pants, but normally in M'sia. However, in Thailand, it looks like the the skinny jeans takes precedence even among the guys.